Sorry about my erratic posting schedule lately—life has become nothing short of insane! 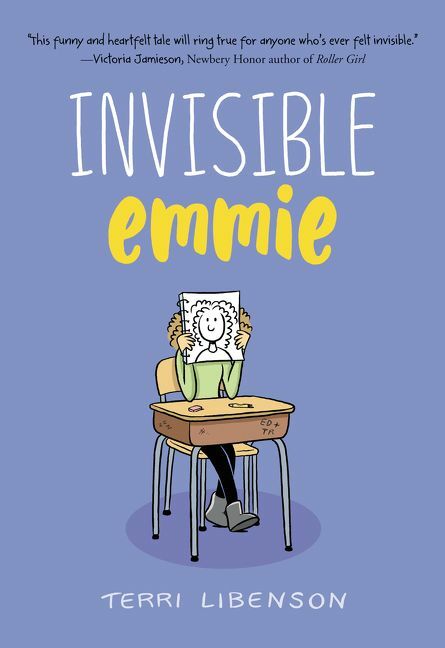 I have another graphic novel this week to recommend (they are helpful when I have almost no time to read): Invisible Emmie by Terri Libenson. I hope to get back to posting more often—that may or may not be this month, but I'll try! 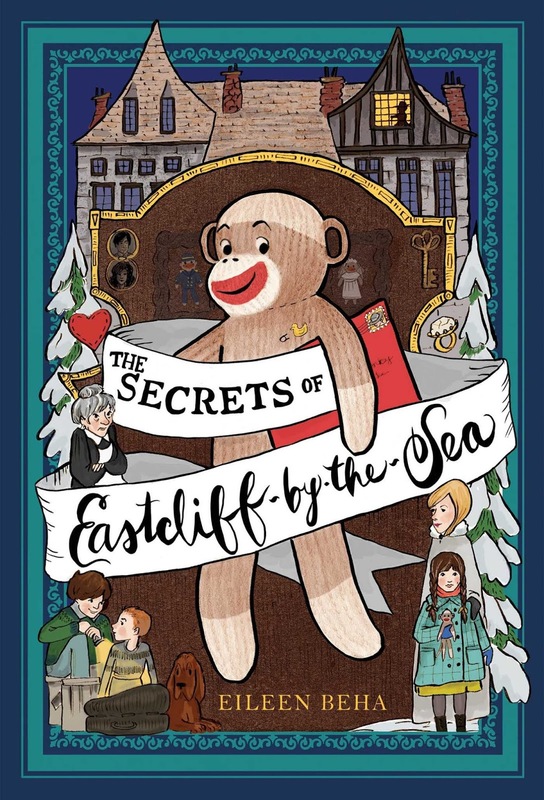 A few months ago, I read Greg Pattridge's review of Libenson's newer book, Positively Izzy, but I decided to read her debut graphic novel first. 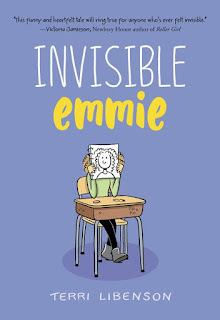 Invisible Emmie switches viewpoints between Emmie, an extremely quiet girl who loves to draw but hates to be around others, and Katie, an extremely popular girl who seems just about perfect. Emmie's part of the story looks like a book filled to the brim with illustrations (usually one or two per page), while Katie's storyline is drawn in traditional comic panels. The novel chronicles one day of school in which Emmie loses a silly but mortifying love note that she wrote with her friend, Brianna, and a mean student finds it and tells virtually the entire school. Katie (who shares Emmie's crush) attempts to help her, but it is ultimately up to Emmie to make the best of her situation, even if she is no longer as "invisible" as she used to be. 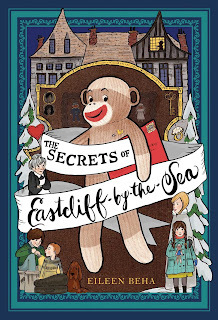 Emmie is an excellent narrator for the majority of the story that she tells, interspersing silly doodles and visual gags with descriptions of her own anxiety and experiences. Katie may seem unrealistically perfect to the reader, but her qualities exist for a good reason (which will shock you when you learn it at the book's end!). Other characters in the book are great, too, such as Brianna, Emmie's super-smart and somewhat-bossy best friend (the same one who is a character in Positively Izzy), and some of the other students in the school, who gradually become more than just nameless faces. Finally, the art style of the novel is fun and cartoonish, and the use of dimmer, sadder colors in Emmie's portion and brighter, more vivid ones in Katie's portion helps to emphasize the two characters' different temperaments. All in all, Invisible Emmie is a fun-yet-poignant graphic novel that all readers, whether shy or not, will relate to and enjoy!